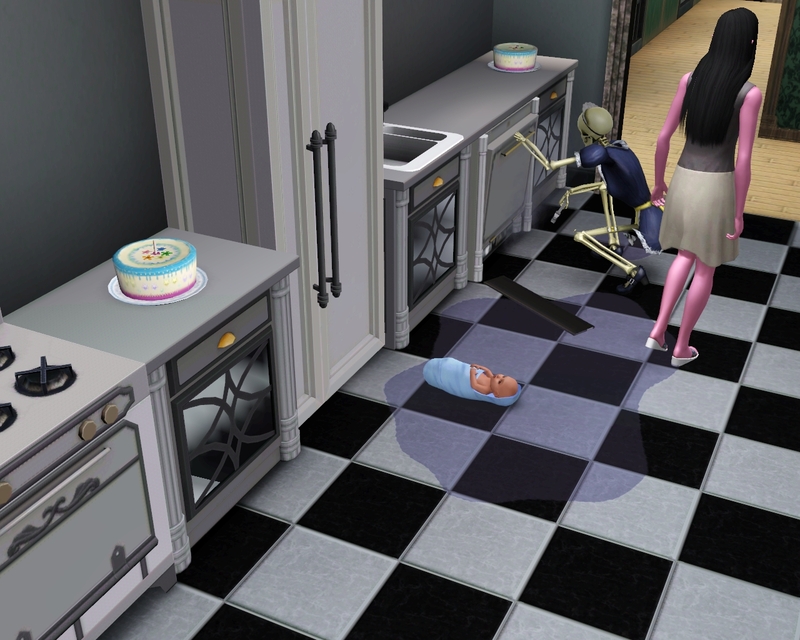 So, now that we have an heir, everyone can breathe a sigh of relief. 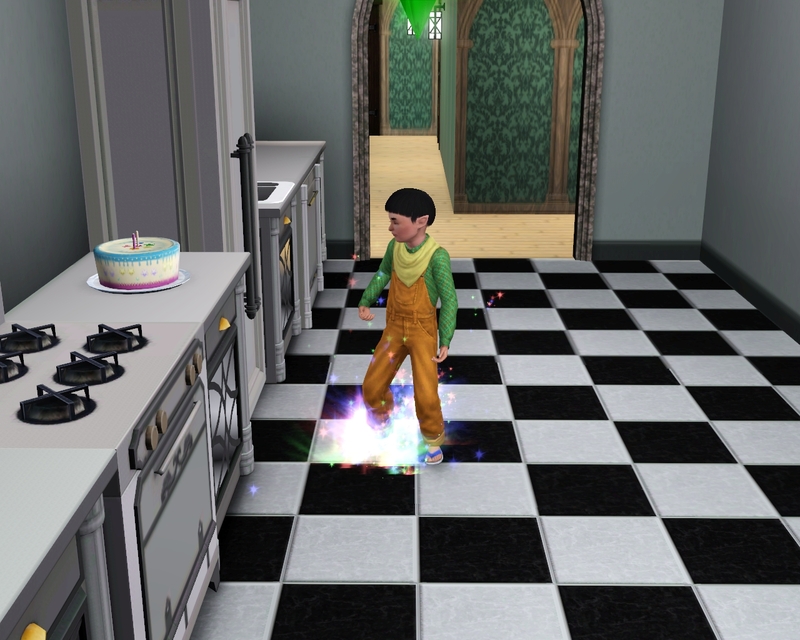 Aiden even had his child birthday and gained the Unlucky trait. Well, it could be worse dear. "I blame you for all misfortunes that fall upon me - ow!" Be careful with those candles! That wax was still hot! Well, let's get you cleaned up, ok? "Just don't cut me with the shears by accident." Uh... let's not jinx anything by saying that. "I think... I want to paint." I won't argue with anyone who rolls that wish. Paint away, my'dear! 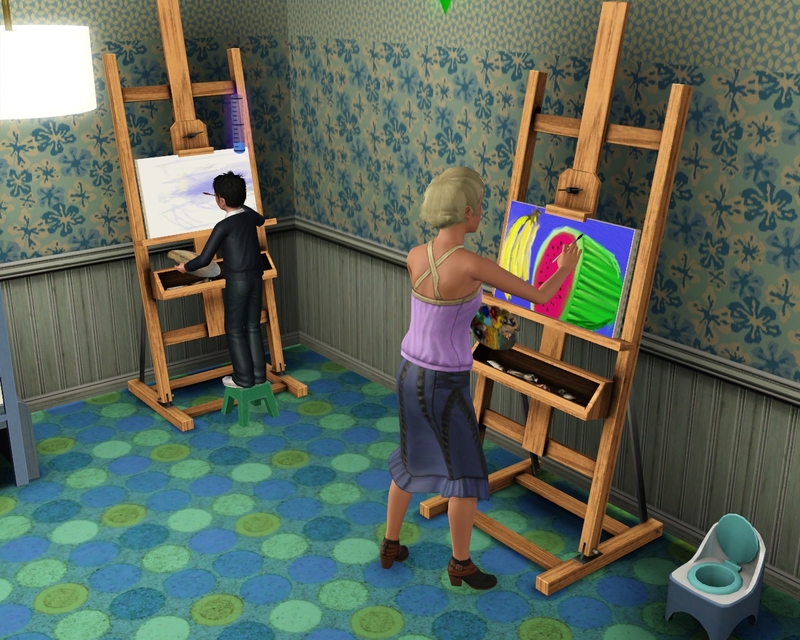 "Hey, Izzy, I haven't seen you in a while, are you painting too? This is going to be fun!" "Say goodbye to the rest of your life, kid." Hey, I let you have the job of your choice, and learn all of the skills required for it too! You have no room to complain. "Yet here I am, still painting as you blast tabcasts in my ear." I just can't make you happy now, can I? "Why can't we do what dad is doing?" Your dad already maxed his skill, career and earned his lifetime wish. Neither of you have done any of those three, so no complaints. "No! No! Avoid the collision! Ahhhh!" "No, I'm fleeing the cops!" I think your wife could use some help out in the garden, maybe you should go help her? "Haha - oh wait, you were serious? Heck no." Ara had just come in the room. "Thanks for all your loving support old man." "Anytime sweetcheeks! Wooosh! Nooo, turn around! Turn around - turn around!" 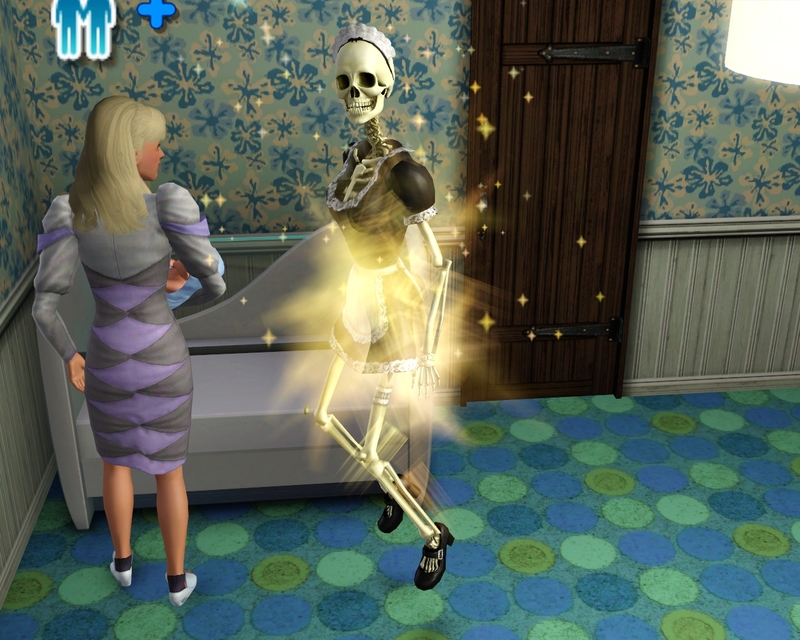 In a more tragic news, Bonehilda passed away. 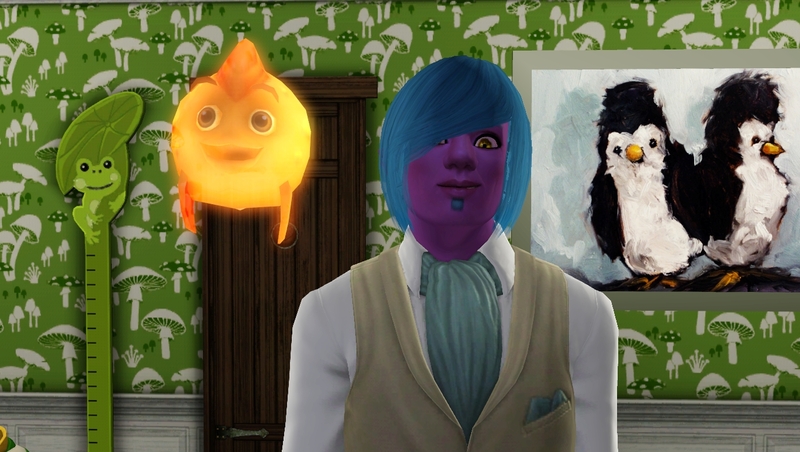 Oh, Izzy, I didn't know you were so attached to her...? "I wasn't... this just means we have to buy another one because the dishwasher never got fixed..."
Oh... boo! Oh well, at least we're rolling in cash, go ahead and buy away! While we waited for the dishwasher to be fixed, it was a duo birthday for a certain set of twins! 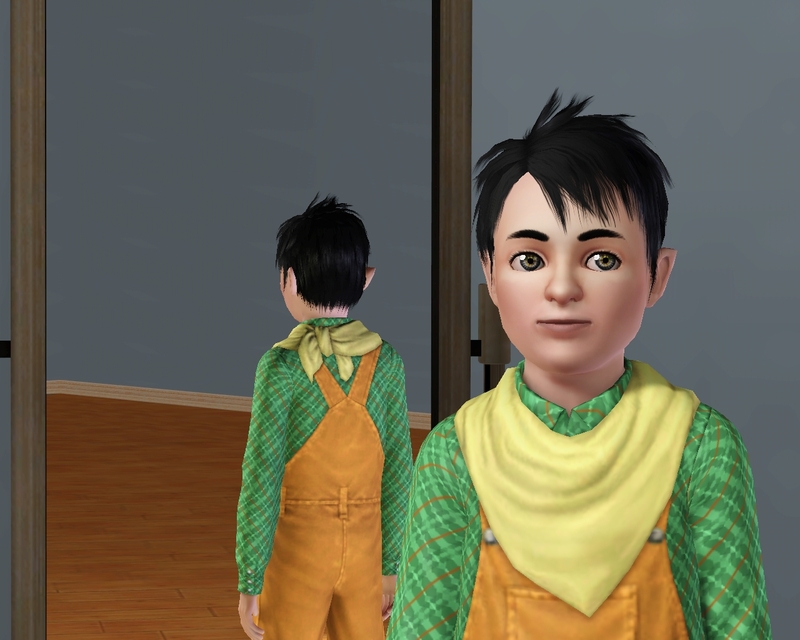 Poor Dekit got left in the puddle for a moment as he aged up. But it sure beat his brother Sam who got dragged all the way out to the living room to age up. Quinn's lips will live to be passed on another generation! He's such an adorable mixture of his parents. 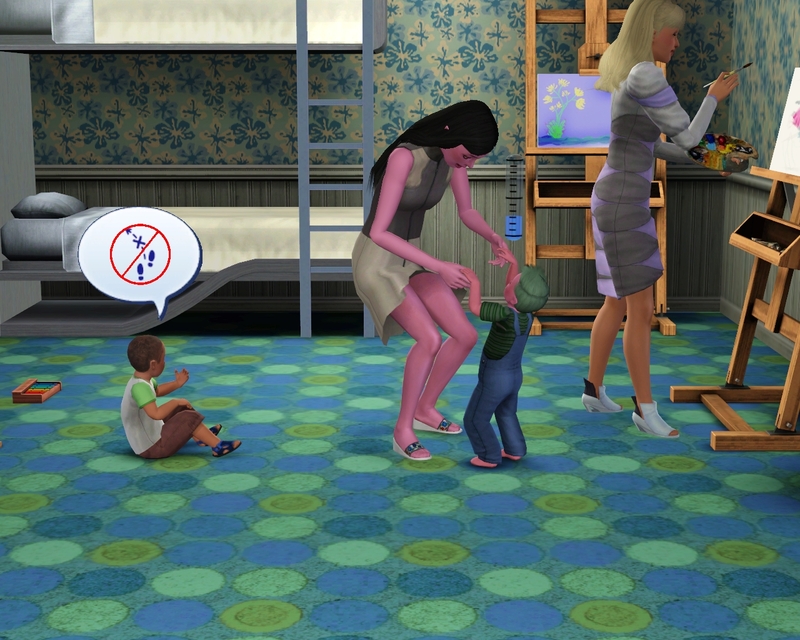 Anyways, toddler training time for Sam. 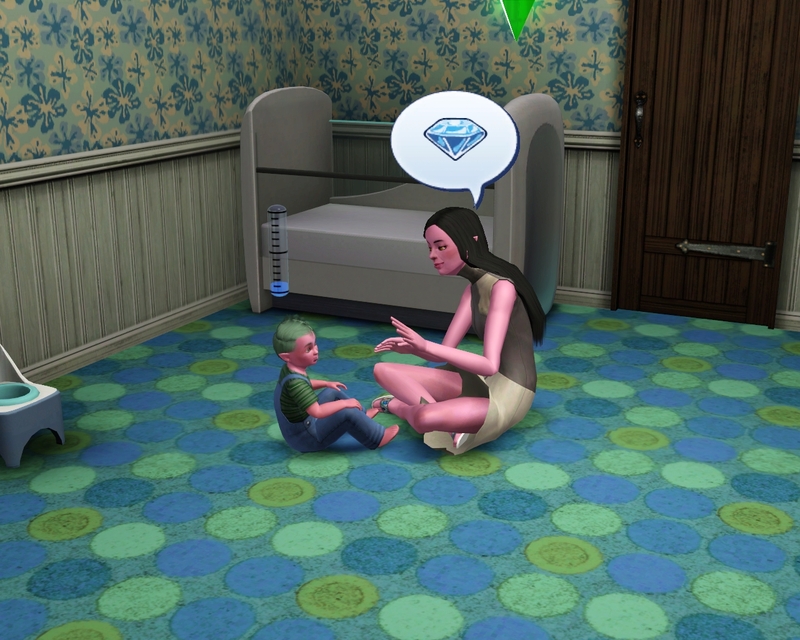 Not entirely sure why I'm ensuring all heir's get the training treatment, as I thought about just letting it go, but no. We must struggle on! "We must struggle on? More like I must struggle along as I bounce this baby from one potty to the next!" It's a lot of work watching you guys all the time, does no one ever give me credit for that? Well I'm moving on now. 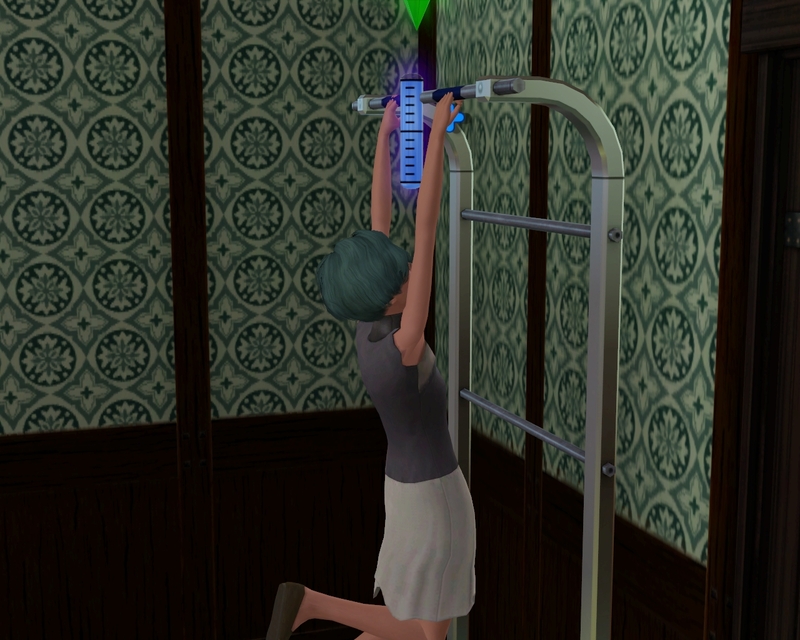 Tessa has taken up the athletic skill and is soaring through, even though she doesn't even have the trait. 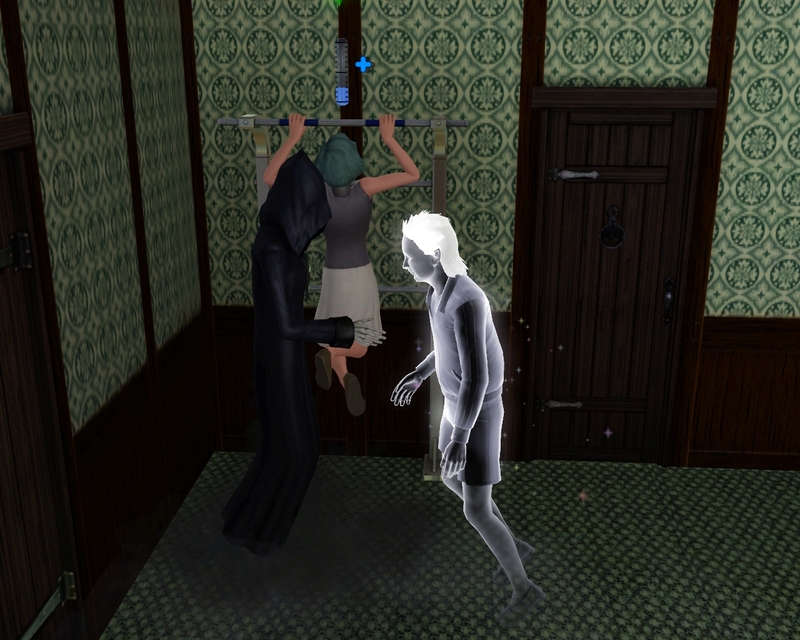 Bradan had just come out to start training his daughter when the Reaper came for him. Ara was busy in her garden outside and didn't hear it, which I'm very glad for. 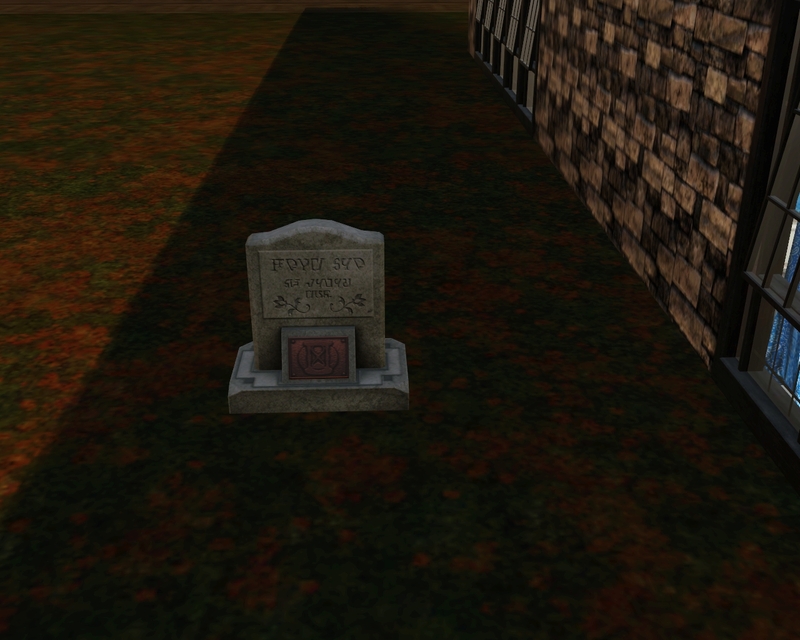 Bradan shook Grim's hand and left peacefully - leaving a medium sized tombstone and the start of a crazy Dynasty. 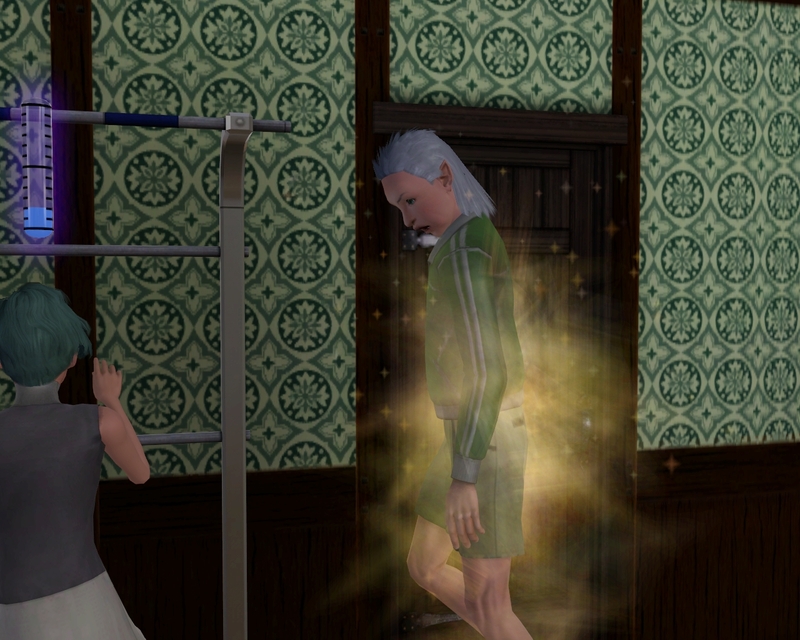 Ara was actually quite heartbroken at the loss of their husband and threw herself into training young Sam. Izzy had become an incredible help to Ara as she struggled with a teenager, child and two toddlers who were all mourning their father. Even in times of sadness though, we have moments of joy. 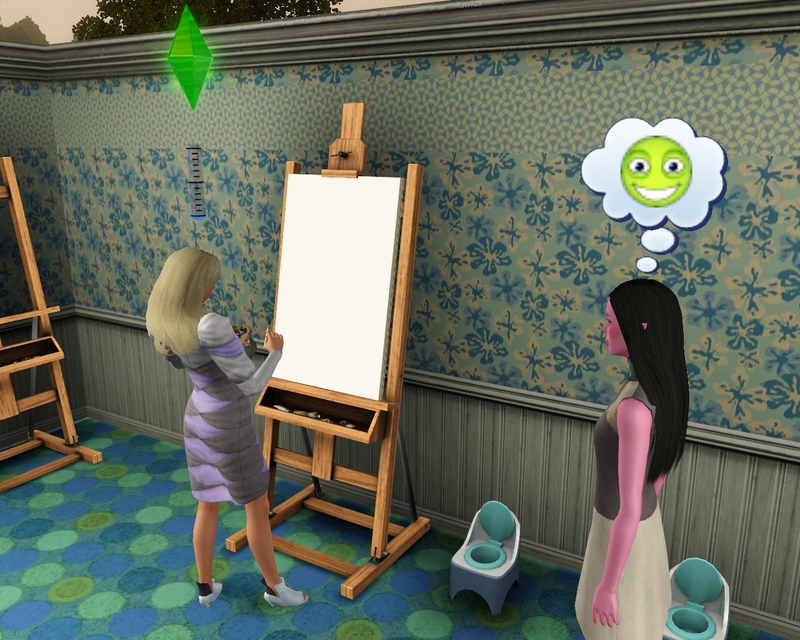 Izzy finally reached level 7 in painting and called Ara over for her portrait. 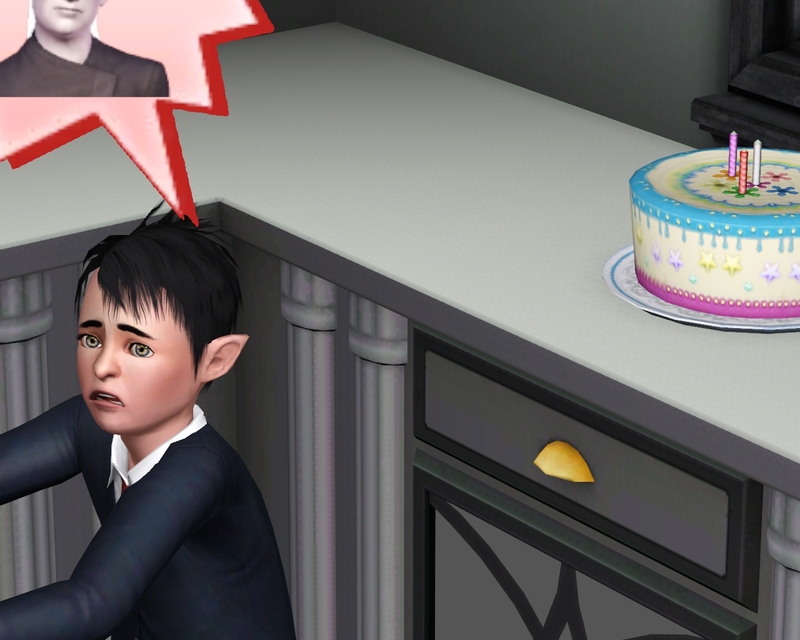 Aiden also had another birthday, he had spent his whole childhood mourning his father. 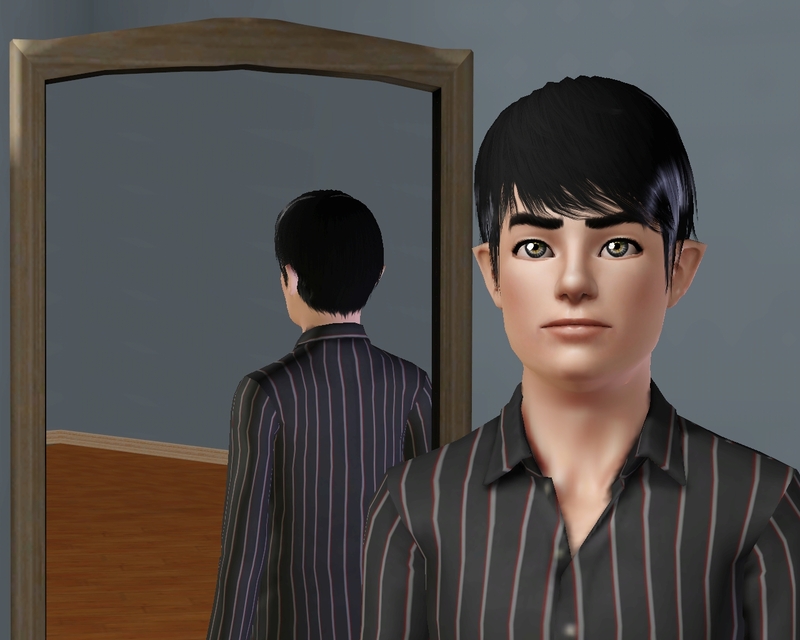 He grew up to be a very handsome boy who gained the Ambitious trait which seems odd with his Unlucky trait, but who knows? "If fate isn't causing me to fail, then I will succeed!" 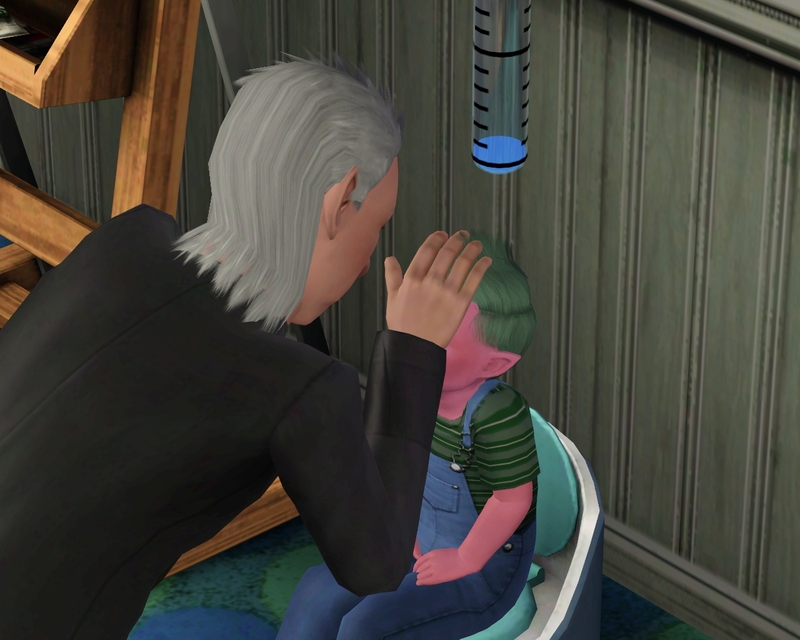 Ara had chugged through these toddler years well, and she was happily finishing up teaching Sam to talk well in advance. She still wanted to push him towards the pegbox but there was still plenty of time left to do that. "He only had under a day left." I know! That's plenty of time! "He won't get a childhood, will he?" "Can you say 'enslavement'? En-slave-ment." See, he's got the right mindset for this dynasty! I know dear, but it's for the best. 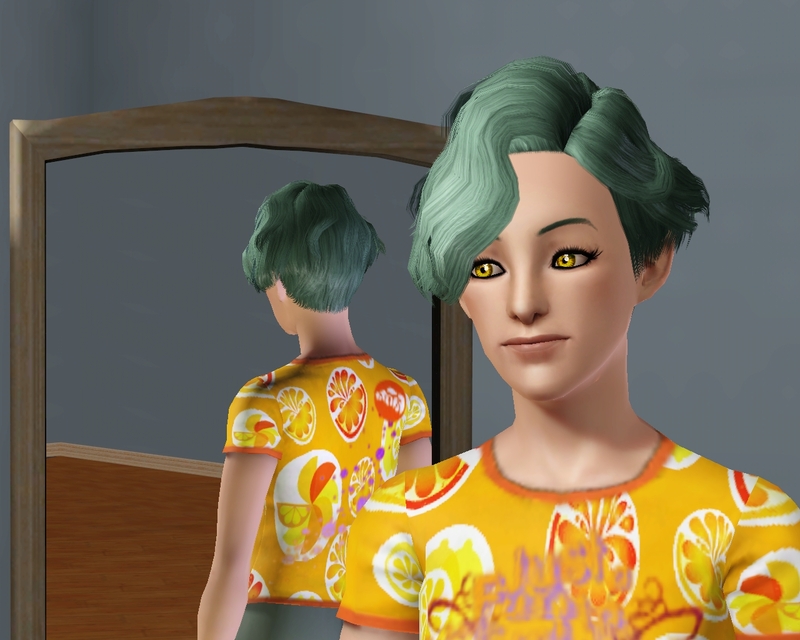 Tessa also had her Young Adult birthday and aged up to add Heavy Sleeper to her list of fabulous traits. "You're just jealous that you aren't as awesome as I am!" Aiden peeked his head around the corner. "Can she move out, please watcher?" Unfortunately, not yet. 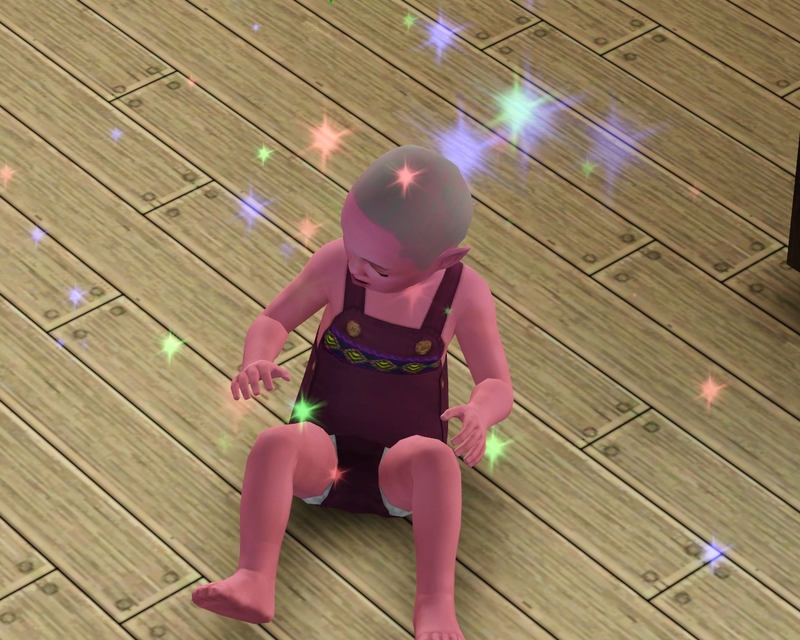 I can still max out the athletic skill for her before Sam becomes a Young Adult, so she stays. "Hey, shut up! I'm amazing and you know it!" 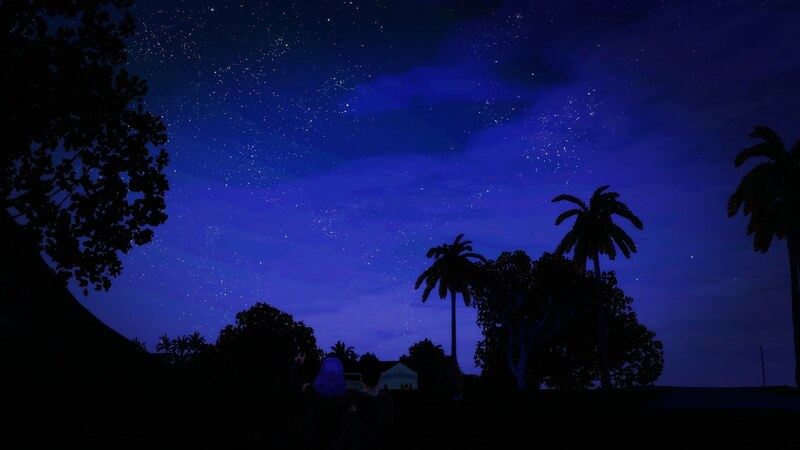 After the birthday celebration, Ara went out and found a nice quiet spot for Bradan's grave where she mourned him for hours. "You know, I never did really tell him how I felt." "He was a great father, and as much as I'd never like to admit it, he was a wonderful husband too." I knew you would love him in time. "Hey! Not so loud, I do have a reputation to uphold."